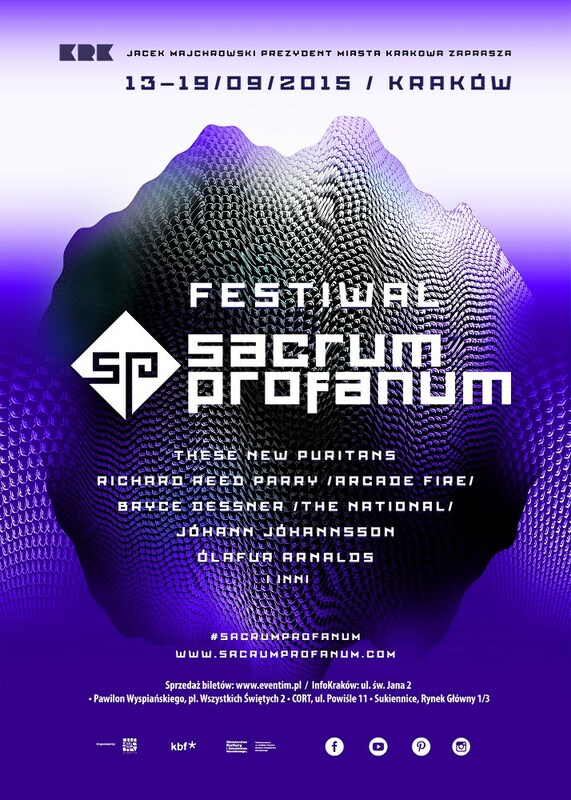 Sacrum Profanum Festival is an international project that has earned the status of one of the most interesting European music events. The festival presents newest music and is aimed at blurring the line between contemporary music, often treated as difficult and incomprehensible, and the developments of ambitious entertainment and the experimental scene. Its importance is created, on one hand, by the participation of the best ensembles playing contemporary music, e.g. Ensemble Modern, Alarm Will Sound, Bang on a Can All-Stars, Kronos Quartet, and, on the other hand, by the presence of stars of the world alternative scene, including Aphex Twin, Jónsi, Jonny Greenwood (Radiohead), Adrian Utley (Portishead), Kraftwerk and Sigur Rós. The prestige of Sacrum Profanum Festival is enhanced by the presence of artists regarded as icons of contemporary music – in 2011 Steve Reich, the master of minimalism, celebrated his 75th birthday in Krakow. In 2011, for the first time in its history, the American edition of the festival was heralded by a joint performance by Steve Reich and Krzysztof Penderecki, which was organised in one of the most prestigious concert halls of the world – the Alice Tully Hall of New York’s Lincoln Center. The festival has won the most important Polish awards and distinctions and was included in the official calendar of the Polish Presidency in the Council of the European Union. Recommended by prestigious music magazines, such as Gramophone and BBC Music Magazine, and Mezzo Television, the festival is praised by critics as well as the audience. Every year Sacrum Profanum events are reported on by over 160 journalists from Poland and abroad. This year’s Sacrum Profanum festival will be exceptional. 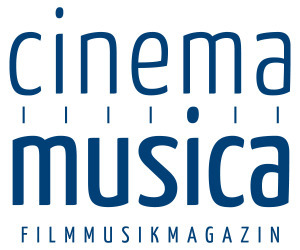 On the one hand, it will close the cycle composed of the last three editions, the main idea of which was the interplay of contemporary music with electronic avant-garde and alternative, and on the other – it will determine the perspective of future editions of the festival, which will be dominated by masterpieces of the twentieth century and most ambitious new classics. The programme spanning these two points will also have room for the presentation of outstanding personalities from the world of popular music, whose ambitions far exceed its limits, as well as the unveiling of artistic possibilities inherent in the creative reinterpretation of classical pieces by experimental artists. Four monograph concerts by Bryce Dessner, Richard Parry, Kate Moore and Jóhann Jóhannsson, two creative transformations of the music of John Cage by Sō Percussion and Matmos as well as an interpretation of Frederic Chopin by Ólafur Arnalds and Alice Sara Ott, plus two special projects: the cooperation of These New Puritans with the classics, which sums up the last three editions of the festival, and Paweł Mykietyn’s Magic Mountain, which is a sneak preview of the future festival editions. This year’s Sacrum Profanum will glitter with different colours. Everyone is cordially invited to Krakow, says Filip Berkowicz, the festival’s creative director. Over the years, Sacrum Profanum has consistently… tried not to be consistent. It wants to surprise, discover, expand its formula and attract new audiences. And it succeeds. […] Sacrum Profanum has become a symbol and a brand of intelligent musical explorations for a wide audience, Jacek Hawryluk wrote last year in Ruch Muzyczny magazine. And indeed – this year’s Sacrum Profanum Programme is stunning in its exciting inconsistency, which we eagerly await every year. The first concert (13th September) will refer to the idea of intermingling of musical influences. British band These New Puritans, specialising in ambitious art rock, will present material from their album, Fields of Reed, in which they faced off with contemporary music two years ago. Taking part in the recording was the stargaze collective from Berlin and Synergy Vocals, one of the best interpreters of contemporary music. The effective combination of post-rock and neoclassical music pleased not only the critics, but also the audience, because the album reached the top of the British bestselling album charts. 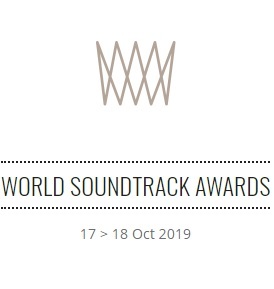 The showcase of outstanding individuals who go beyond all limits in their music will begin with a performance of Bryce Dessner’s compositions Music for Wood and Strings, St. Carolyn by the Sea and Lachrimae (14th September). Dessner, known to us primarily as the guitarist of the alternative band The National, is also a certified composer of contemporary music. He has worked with the most interesting performers – such as the Kronos Quartet, Band On a Can All-Stars, Clogs, Sō Percussion and the San Francisco Symphony Orchestra. In Krakow, he will be accompanied by Sinfonietta Cracovia, Sō Percussion and his brother Aaron, and will perform compositions for guitar, percussion and strings. The next day (15th September), the Dessner brothers will assist another rockman, who is with great success trying his hand at classical music. Richard Reed Parry is a core member of the legend of the alternative scene, the Canadian band Arcade Fire. He is also an extremely versatile instrumentalist and unconventional composer, specialising in chamber music. During Sacrum Profanum, we will hear material from his album, Music for Heart and Breath, which will be performed not only by the Dessner brothers but also New York formation yMusic. The Australian contemporary music scene will be represented at this year’s Sacrum Profanum by young composer Kate Moore. Her specialty are sound collages combining acoustic and electronic sounds. They had been presented in many prestigious concert halls in the world, and in Krakow, we will hear material from the album released on the cult label ECM, Dances with Canons, performed by Saskia Lankhoorn, as well as material from the newest release of Cantaloupe Music, Stories for Ocean Shells, performed by Ashley Bathgate (19th September). For the second time, we will welcome Jóhann Jóhannsson from Iceland to Sacrum Profanum. He is a true star of neoclassical and ambient music – a master of illustrative compositions, combining subtle electronica with spatial sounds of the orchestra, having to his credit records released by such labels as 4AD or Touch. His compositions have been performed in cathedrals, but have also decorated soundtracks of Hollywood hit films (lately the famous Theory of Everything). In Krakow, we will hear his newest composition – Drone Mass for electronica, strings and vocals, based on the Gnostic gospels from Egypt. The artist will be accompanied by New York formation ACME and the returning to Krakow Theatre of Voices (18th September). Also visiting Krakow from Iceland will be valued composed Ólafur Arnalds. Known for his illustrative nostalgic recordings, he is loved both by critics and fans (his concerts attract crowds – also in Poland). His new album, The Chopin Project is an extremely interesting and creative reinterpretation of the compositions of the Polish composer. During the performance, Arnalds will be in charge of the electronica, with Alice Sara Ott on the piano. They will be accompanied by a string quintet (16th September). The second concert which will show the possibilities inherent in creative reinterpretation of the classics will be the joint performance of Matmos and Sō Percussion. 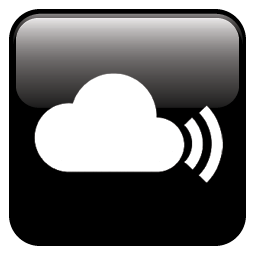 The former is known for bold electronic experiments, relying on making music with audio defects and noise. Sō Percussion have already been guests of Sacrum Profanum – which is how we know that they are masters of improvised percussion playing. The artists will pay tribute to John Cage in the programme entitled We Are All Going in Different Directions (17th September). And finally, the finale, and also the announcement of the next edition of the festival. On the occasion of this year’s 140th anniversary of the death of Thomas Mann, the Krakow Festival Office and the Malta Foundation have commissioned the Magic Mountain opera based on the German writer’s prose. We will see a collaboration of four artists: composer Paweł Mykietyn, director Andrzej Chyra, playwright Małgorzata Sikorska-Miszczuk and visual artist Mirosław Bałka. As the director says, “We read Mann’s novel in the context of World War I, which was fuelled by idiotic military enthusiasm, due to which millions died. But The Magic Mountain is actually the story about the state of our mind and our civilisation. It is a story that is very appropriate today” (19th September). All the concerts in this year’s edition of Sacrum Profanum will take place in the ICE Kraków Congress Centre halls. The new Sacrum Profanum triumphs with record-breaking turnout. The open drawer is bottomless. A sea of music can be drawn from it: it can be combined, assembled, modified, rearranged anew. The modern culture remix provides many opportunities. Everything depends on who’s cooking the mixture, wrote Jacek Hawryluk, this time in Gazeta Wyborcza. Although this is a fragment of the review of last year’s festival, this season will surely be similar. Filip Berkowicz knows contemporary music and electronica avant-garde very well, therefore he knows very well which artists to invite to an unexpected collaboration, he knows to whom to suggest a reinterpretation of an unaltered composition and what creators constantly contribute to breaking down all barriers in music. The effects are always surprising, but also exciting. This year’s edition will certainly confirm it. Festival co-financed by the Minister of Culture and National Heritage.